This partition detail shows a horizontal span condition. The wall is unanchored at the base and at the top. It is tied into cross walls at both ends. 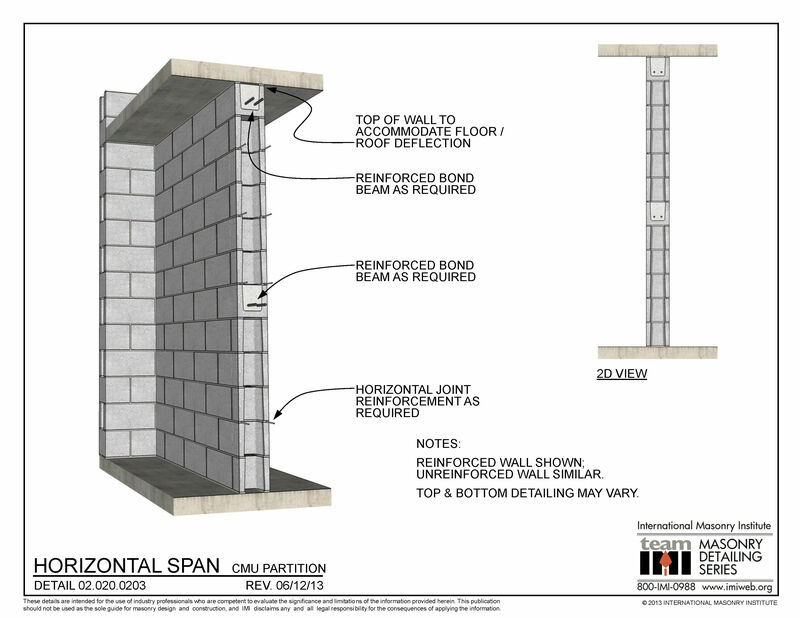 The top of the wall should accommodate deflection of the structure above. Horizontal joint reinforcement and vertical reinforcement are shown. 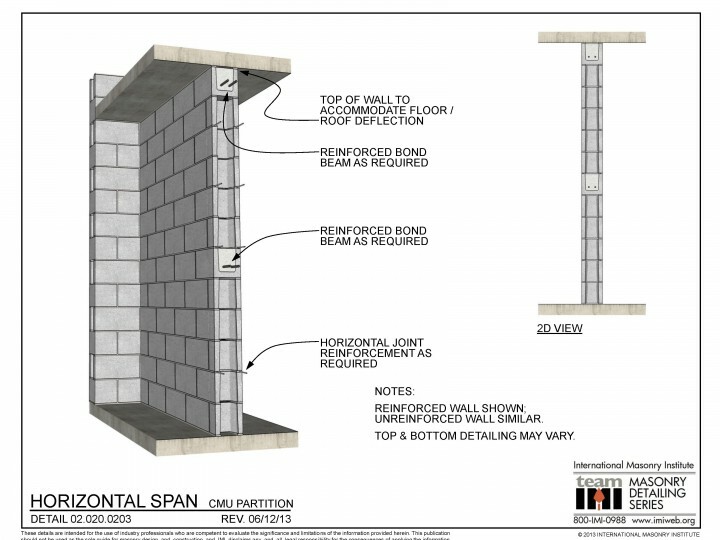 Bond beams are also shown. Top and bottom detailing may vary.